Ernst Heinrich Philipp August Haeckel (February 16, 1834 – August 9, 1919), also written von Haeckel, was an eminent German biologist, naturalist, philosopher, physician, professor and artist who discovered, described and named thousands of new species, mapped a genealogical tree relating all life forms, and coined many terms in biology, including anthropogeny, ecology, phylum, phylogeny, and the kingdom Protista. 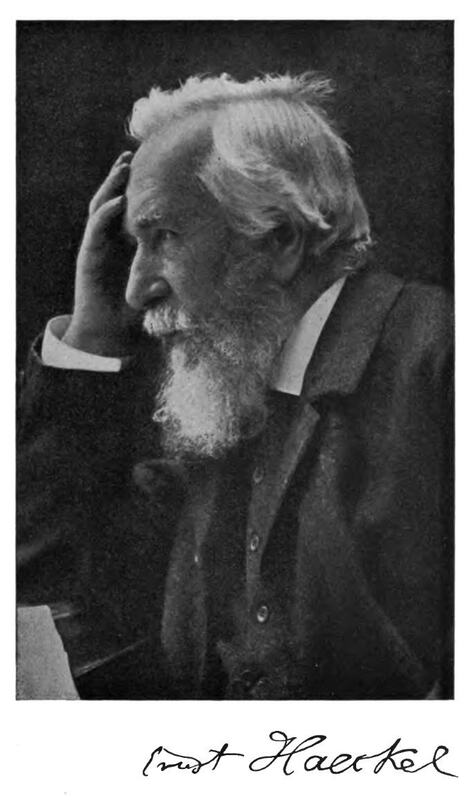 Haeckel promoted and popularized Charles Darwin’s work in Germany and developed the controversial recapitulation theory (“ontogeny recapitulates phylogeny”) claiming that an individual organism’s biological development, or ontogeny, parallels and summarizes its species’ entire evolutionary development, or phylogeny. So why are we talking about him on Designer Rants? Because of his beautiful illustrations from the book “Art Forms of Nature.” One hundred of the monograph plates are presented on this blog. I’ve posted them on here because I think they’re amazing, and the Wikipedia page I found them on have them listed as thumbnails, whereas I’m more of a Scroller, myself. Thanks for posting these amazing pictures – they are so beautiful and give such great insight. Cheers!